The state BJP confirmed that Chouhan's rally had been cancelled after the district administration refused to grant permission to allow the chopper to land in the state. Chouhan was scheduled to address two rallies on Wednesday - one in Murshidabad district and the other at West Midnapore district. After denying permission to both Amit Shah and Yogi Adityanath, the state government on Wednesday refused to grant permission to former Madhya Pradesh chief minister Shivraj Singh Chouhan’s helicopter to land in West Bengal for Bharatiya Janata Party (BJP’s) poll campaign ahead of the Lok Sabha Elections 2019. 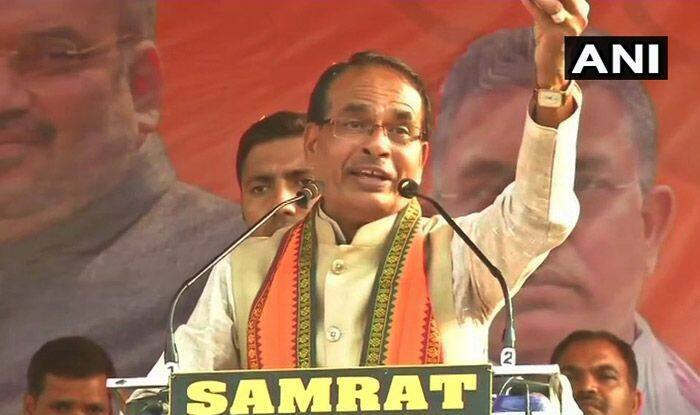 The state BJP confirmed that Chouhan’s rally had been cancelled after the district administration refused to grant permission to allow the chopper to land in the state. Chouhan was scheduled to address two rallies on Wednesday – one in Murshidabad district and the other at West Midnapore district. As per reports, Chouhan will travel to Kharagpur by road after landing at the Kolkata airport. Accusing the Trinamool Congress (TMC) government of indulging in “vendetta politics”, Basu asserted that by denying permission to land helicopters in the state, the party would not be able to stop BJP’s march ahead of the Lok Sabha Elections 2019. Two days back, the West Bengal government denied permission to land Uttar Pradesh Chief Minister Yogi Adityanath’s chopper in the state following which he had to travel to Balurghat by road. The BJP state government had then questioned the undemocratic behaviour of the TMC government with BJP leader Mukul Roy saying he was unable to understand the reason behind the denial of permission. Earlier, BJP President Amit Shah’s chopper was also not allowed to land in the state. Meanwhile, the TMC has rejected BJP’s claims saying that it was likely that the district administration took the decision keeping in mind the security aspect.